While generating organic traffic is important for any web site, the right PPC strategies can put your online marketing campaign over the top. One of the main reasons that PPC (pay-per-click) advertising is so attractive to marketers is because it puts them in control of their advertisements and effectively helps increase their overall ad revenue. You have the ability to choose who you want to target, how you want to do so, as well as the level of target audience outreach you want to implement based on your budget. A common misconception when it comes to PPC search engine marketing is that it’s far too expensive—this couldn’t be further from the truth. As long as you set a strict budget and stick to it, there’s no reason for your marketing expenditures to get out of hand. Contrary to what you might think, you only have to pay for ads when people click on them, not when they simply view the ads on search engine results pages. 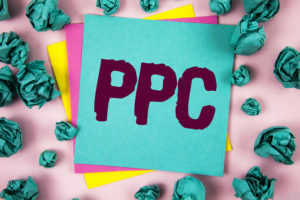 Taking all of this into consideration, here are a few PPC campaign strategies to help improve your online visibility and brand awareness in 2019. Several years ago, it would have been incredibly difficult for industry experts to predict just how much mobile usage would impact organic SEO and paid marketing. Now, it’s been proven that mobile usage has far exceeded that of any other device platform, especially desktop. More and more potential customers are conducting searches on their mobile devices. In response to this, Google has expanded its mobile index to include an increasing number of searches and keywords. As an advertiser, you should be paying attention to this trend and start implementing a mobile-first advertising campaign if you haven’t already. Advertising is a serious numbers game. And the only way to increase your numbers and stay ahead of the game is to play it well. Content creation is an integral aspect of attracting as many customers as possible. Your content needs to be relatable and speak directly to the demographic(s) that you’re trying to attract. But first, you must identify what those demographics are and then come up with a feasible plan of action to get their attention. Far too many brands spend too much time focusing on trending keywords rather than what their customers actually want. While keywords are important for SEO, your content still needs to sound natural and understandable to the people viewing it. Implanting too many long- or short-tail keywords into your content can make it sound unnatural and irrelevant. Alongside the ever-growing popularity of mobile searches, voice search has also seen a major surge over the past year or so. As major corporations like Google, Amazon, and Apple continue to come out with new and improved voice search software, the use of this medium is expected to see tremendous growth in the next few years. This is something you should definitely prepare for in the future. Content should be more voice search-friendly in the sense that you need to focus more on the natural speaking patterns of your target audience when writing blog posts, advertisements, video content, and so much more. Video advertisements are quick, easy, and a great way to attract a wider audience. In this hustle and bustle world that we live in, very few people actually have the time to read through content or long advertisements. Short one- to two-minute video ads are definitely the way to go. They need to be fun, attention-grabbing, and to the point with a high production value if they’re going to be effective. So make sure you hire a professional creative team that can produce high-quality video ads for you. Remember, many of these are targeted and will be appearing on major social media platforms like Facebook, Instagram, Twitter, or SnapChat. Thanks to the constant changes implemented by major social media platforms, 2019 has already proven to be a year of remarketing and rebranding for a lot of companies. Since advertising is a very fast-paced industry, it’s important for major brands to not only keep up with the trends, but also make an effort to stay well ahead of them. Unfortunately, some brands have been quite tone deaf in some of the advertising and branding choices they’ve made all in the name of going viral. Of course, there’s always the possibility of bouncing back and correcting said mistakes. One way to do this is to remarket existing advertisements to a newer and younger generation and play up the nostalgia factor for people of an older generation. Remarketing and rebranding is a great way to introduce your company to a new target audience and expand your horizons. Another important trend in online advertising that’s making big waves right now is the use of long-tail and branded keywords. Google has made it easier than ever for you to track how industry-related keywords are ranking. Nowadays, it’s not only important to attract a wider target audience, but to attract prospective leads that you can easily convert into paying customers. The way to do this is to research keywords that are trending within your industry and effectively incorporate them into your content—particularly your paid advertisements. Automation is nothing new in the online advertising industry. What is new are the improvements that are being made to this essential advertising feature. Google and social media platforms now create personalized ads based off of users’ search histories. Have you ever noticed that after searching for a specific item, you’re suddenly seeing advertisements for similar products or brands all over your social media feeds? That’s not a coincidence. That’s the result of brands paying attention and tracking your searches so that they can create ads that are specifically catered to your searches. And that’s exactly what you should be doing as well. Numero Uno Web Solutions is one of the leading web design and SEO firms in North America. We’ve helped numerous small- and medium-sized businesses build and maintain strong online presences through effective SEO and PPC campaigns. To learn more about how we can help you grow your brand online, contact us today!